The decision as to whether children cycle to school rests with parents but we would remind you of the large volume of traffic around the school at peak times. 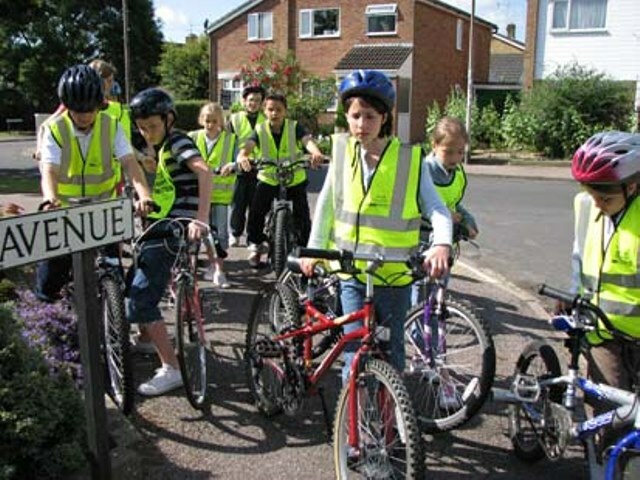 All children cycling to school should wear a cycle helmet. All bikes brought into school must be left in the bike shed and should be securely locked. Lights, helmets and other easily removable accessories should be clearly marked with the child’s name and removed from the bike during the day. 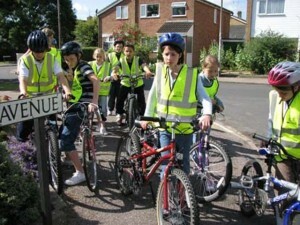 The school organises Safer Cycling training for Year 5 and 6 children during the summer term. We are pleased to offer access to the school grounds after school. Please ensure you supervise your children after school, particularly on the outdoor equipment. Use of any outdoor play equipment is a decision for parents/carers and is undertaken only under your supervision. There is no access to the school buildings at this time. There is access to a toilet at the school swimming pool. Parents are requested not to park in the turning bay at the end of Warwick Road – this is obstructive to others using it for its intended purpose. Parents should ensure that children leave their car safely, always on the pavement side, and take great care if they need to cross the road. Parents collecting children by car should not use the car park but should park outside the school. The school car park is busy before and after school, particularly with the arrival and departure of taxis. We consider it important that children are always given good examples of road safety.